Only one more work day to go! Cecil is always very concerned about when I’ll get home from work … because that’s when he gets his (dental) treats :). 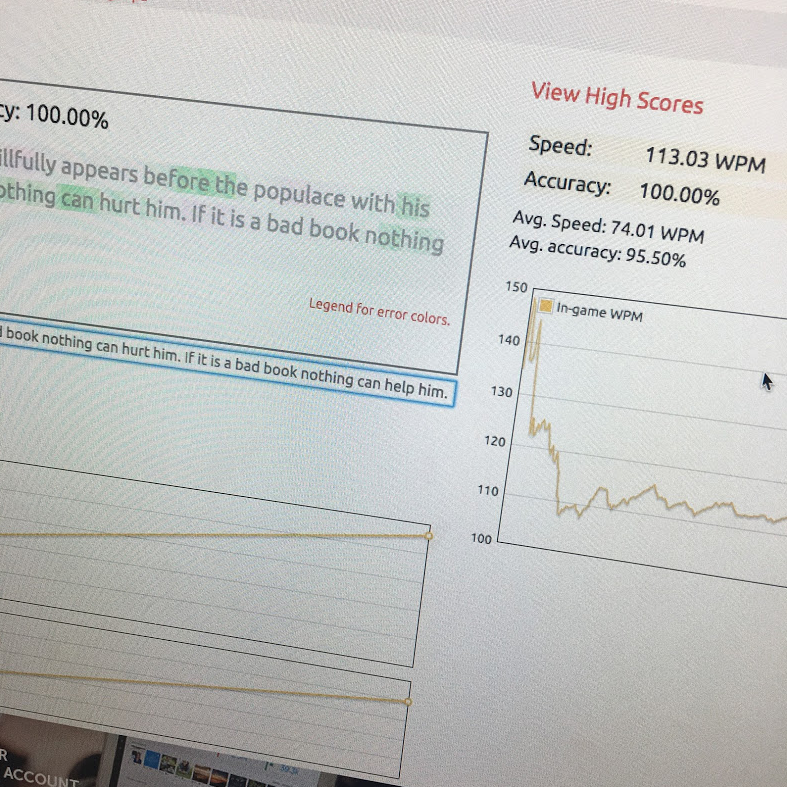 I type 113 words per minute with 100% accuracy. My old typing teacher would be very happy with that! The average is 74 words per minute with 95% accuracy, although the world record is something like 260 words per minute! You can take the test yourself HERE! 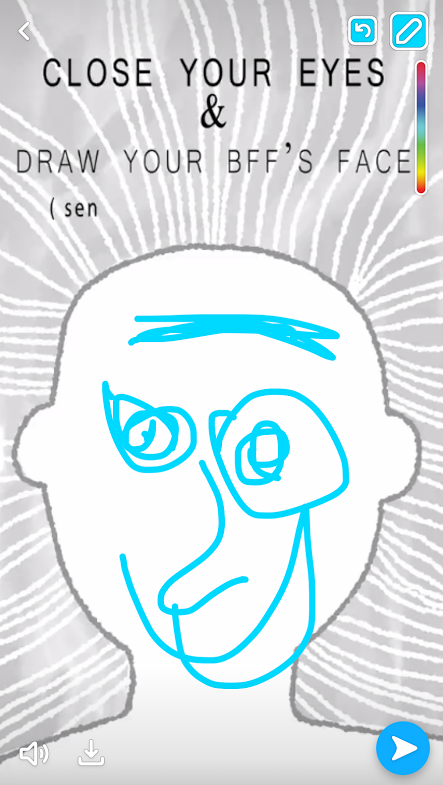 Yesterday on SnapChat a game came up to draw your best friend with your eyes closed. Adam and I were totally up for this challenge! It looks like I gave Adam a strong unibrow but that was actually supposed to be his hair :). Wow, we are a good looking couple! I hope you have a great Friday and have something fun planned for this weekend. Adam and I are going to meet with our new HOA president for an orientation. Every day we get closer to getting the keys to the townhouse! Yay! What are you most excited about for the weekend? I am excited to see my family this weekend! Paul is going away with his fam so I will be on my own. I feel a sense of freedom, which is odd, because I can do whatever I want whether Paul is home or not! Well, I can poop with the door open if he is gone but other than that…. I do type with correct fingers! I remember when I got into typing class I did not, even though I think I was already a fast typer. It definitely slowed me down to set my fingers in the right spots to get started, but now it’s just an automatic reflex! I feel the same way too when Adam goes away. I miss him but it’s nice to be able to just do whatever you want, whenever you want. 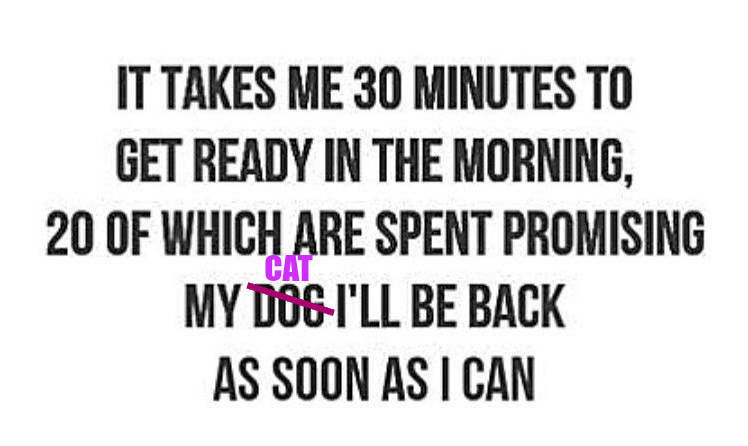 Like, I go to bed when I want anyway, but I don’t feel guilty if I decide to go to bed extra early if he’s not home! The last thing I do before I leave for work is give lily a big hug! Awwww I love that! I always tell Cecil he is smart and beautiful before I leave haha! You are good! That is fast typing. i am slow LOL maybe that is why I don’t blog much. 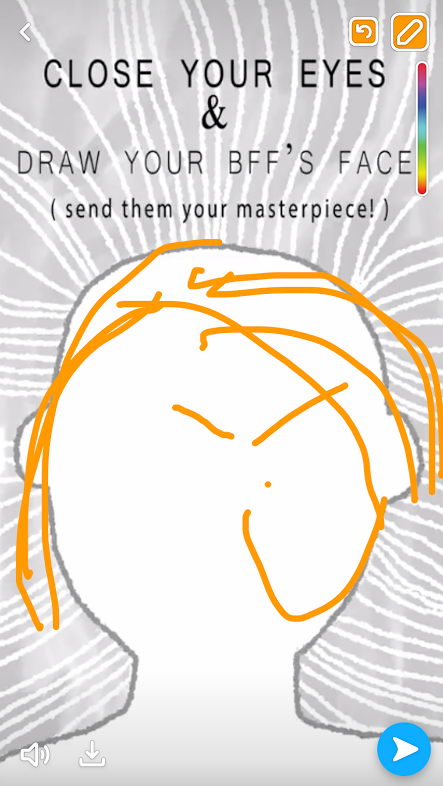 Your drawings are cracking me up. Ohhh Get Your Freak On – a throwback! I like it! That Am I Wrong song is so catchy … I mean now I keep hearing the “Am i wrong” part over and over in my head haha! I can’t believe someone can type 260 words a minute! I used to give my students typing time in class because their state tests are on the computer. Sometimes I’d project my computer and we’d all compete. They were pretty impressed with my skills. I mean, who wouldn’t be? 😉 Some of them are at like 25 words a minute! My favorite was typing while staring at them – it really freaked them out. Hahahah that’s awesome! I can’t believe someone can type that fast either! I mean I just don’t think my fingers could move that fast! I really want to try that typing test! Maybe Ill do that this weekend. I don’t think I type well though- I type quickly but make lots of typos! I bet you don’t really make that many typos! Your blog posts are always perfect! Right now my favorite running song is “Sit still look pretty.” I can listen to it over and over again! YES! ME TOO! I’m obsessed with that song!! !